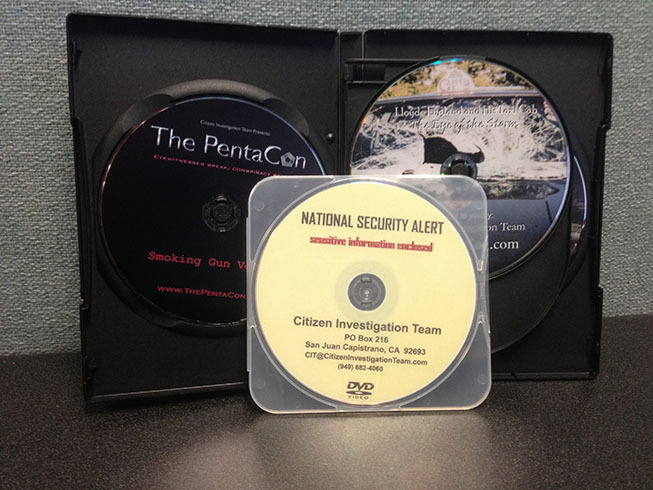 Here is how you can create/obtain copies of National Security Alert on DVD. If you have a DVD burning drive on your computer you can create your own DVD copies of National Security Alert. First, download a high quality copy of the video from Vimeo. Simply follow that link, scroll down to the "Download" button just beneath the video description, click it, and choose "SD 640 x 432." You can also download the smaller mobile version if you'd like, although it is not suitabe for DVD production. While many home DVD players (especially newer ones) will play AVI files, some will not. Therefore, we do not recommend burning the AVI file directly to DVD (unless you are simply archiving it or giving it to someone for them to store/play on their own computer). We recommend creating universally-playable DVDs like the ones you buy at the store. This way you can hand the DVDs that you create to anyone without having to worry about whether or not their DVD player is going to be compatible. To do this, you must first create an ISO Image file out of the original AVI video. You can then burn that ISO file to DVD, and that DVD should then be playable in any (or at least virtually any) DVD player, regardless of make and model. There are numerous free programs which can be used to create your ISO Image file, such as DVD Flick or DVD Styler. This can be done using a free program such as CDBurnerXP. A DVD burning drive is required. You will receive "The PentaCon", "The North Side Flyover" (2 DVD Set), "Lloyde England & His Taxi Cab - The Eye of the Storm", and "National Security Alert". For orders within the U.S. please send $45. For orders in Canada please $50. For orders from any other countries please send $55. Note: These videos can be viewed for free online as well in the Supplemental Evidence section of this website.